Walking on the beach in St. Petersburg I couldn’t help but look for shells at the tideline. When I was younger I would search for shells that matched those in book illustrations. Trumpeting conch shells with carnation lips whispering secrets, the whorl of the whelk, sunsets captured in the inner concave of cockle shells. I sought perfection, discarding those that were chipped, broken, barnacled. Now I scrutinize the broken bits of shells pushed to shore by sea foam. The retreating froth lays down a mosaic of frail pinks, white ivory, faint gull grays on gritty taupe sand. When did beauty become synonymous with perfection? What causes us to look past fragments of beauty in search of an ideal defined for us? Why do we ignore beauty every day without sparing even a quick glance? 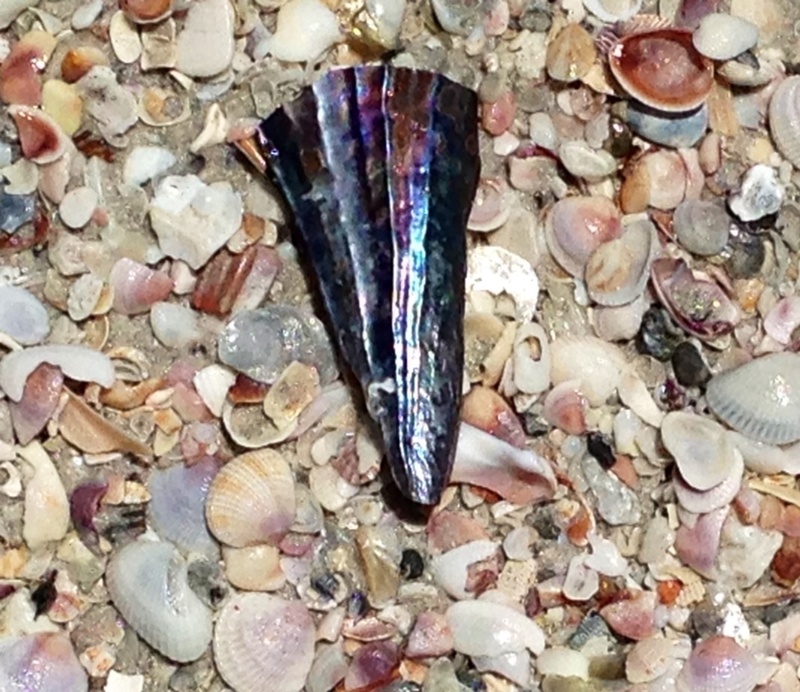 I stop–caught by a fragment of a quill shell as its Tiffany iridescence transforms a blade of navy blue into captured lightning. Imperfect beauty. Beautiful, Bridget… this will remind me today to intentionally be in the present and look for the beauty around me. Glad to see you in St. Petersburg and that you had time to “be” and reflect!